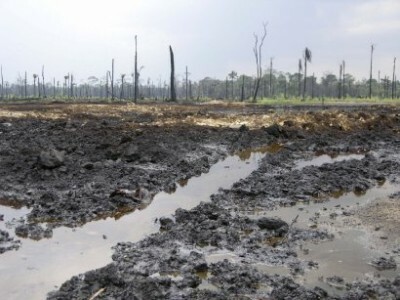 Two months after oil spills from a field in Akwa Ibom operated by global oil giant, Mobil, the company is yet to complete a clean-up of the area of the spill thus endangering the lives of residents. The company’s refusal to clean up was first reported by this paper on December 28.Read it here. Some residents of Ibeno community in Akwa Ibom have expressed concern over their continued exposure to the crude oil discharged from the Qua Iboe oil fields.